Is Tai Chi for you? Are you very interested in improving your health, but learning self defense is ok as well? Are you interested in studying the details of slow moving forms carefully to unlock the secrets? Do you want to practice something that is both relaxing and makes your body feel energized in a healthy way? Is developing patience important to you? Tai Chi Chuan is a more modern Chinese martial art than Kung Fu. The focus is on internal (soft) power and in many instances improvement in health or medical conditions may be the emphasis in class. QiGong (Chi Gung) is often practiced in combination with Tai Chi. A typical Tai Chi class in Westchester may start with some basic exercises followed by slow moving forms. At varying points in time, depending upon the style, explosive power is used in practicing forms as well. Tai Chi weapons forms are taught and competitive push hands is practiced to test one’s understanding of the forms. Traditional Tai Chi emphasizes controlling an opponent rather than harming them initially, but the use of lethal force can be understood over time. 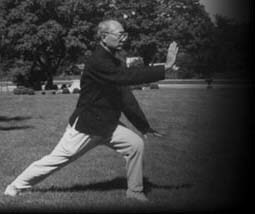 Tai Chi has developed numerous styles, including Chen (the original with the greatest variety of technique) and Shaolin (similar to Chen), followed by Yang (common in the Northeast), Sun, and Wu Tang mountain. Exercise tends to be anaerobic.